What does start() function do in multithreading in Java? Java provides built-in support for multithreaded programming. A multi-threaded program contains two or more parts that can run concurrently. Each part of such a program is called a thread, and each thread defines a separate path of execution. When a Java program starts up, one thread begins running immediately. This is usually called the main thread of our program, because it is the one that is executed when our program begins. It is the thread from which other “child” threads will be spawned. The main thread is created automatically when our program is started. To control it we must obtain a reference to it. This can be done by calling the method currentThread( ) which is present in Thread class. This method returns a reference to the thread on which it is called. The default priority of Main thread is 5 and for all remaining user threads priority will be inherited from parent to child. For each program, a Main thread is created by JVM(Java Virtual Machine). The “Main” thread first verifies the existence of the main() method, and then it initializes the class. Note that from JDK 6, main() method is mandatory in a standalone java application. We can create a deadlock by just using Main thread, i.e. by just using a single thread. The following java program demonstrate this. The statement “Thread.currentThread().join()”, will tell Main thread to wait for this thread(i.e. wait for itself) to die. Thus Main thread wait for itself to die, which is nothing but a deadlock. 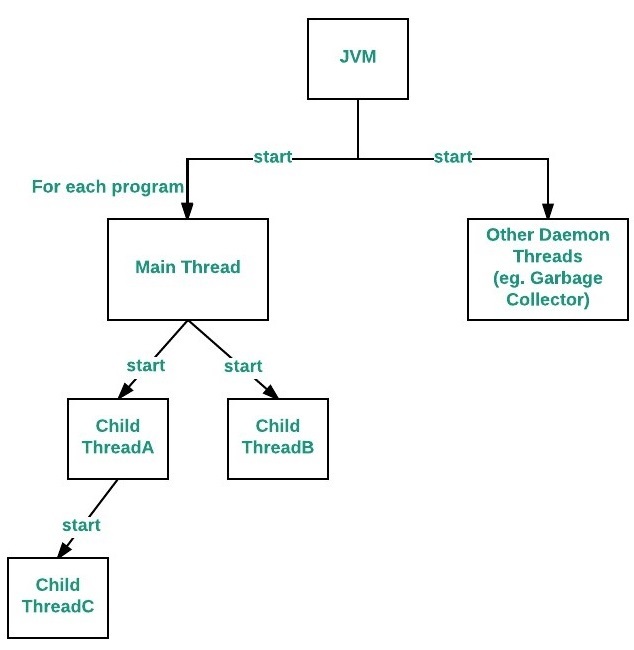 Related Article: Daemon Threads in Java. How a thread can interrupt an another thread in Java?